Delicious bar creatine, which provides as much as 3g high quality creatine monohydrate. The ideal snack between meals, even during rigorous diet! 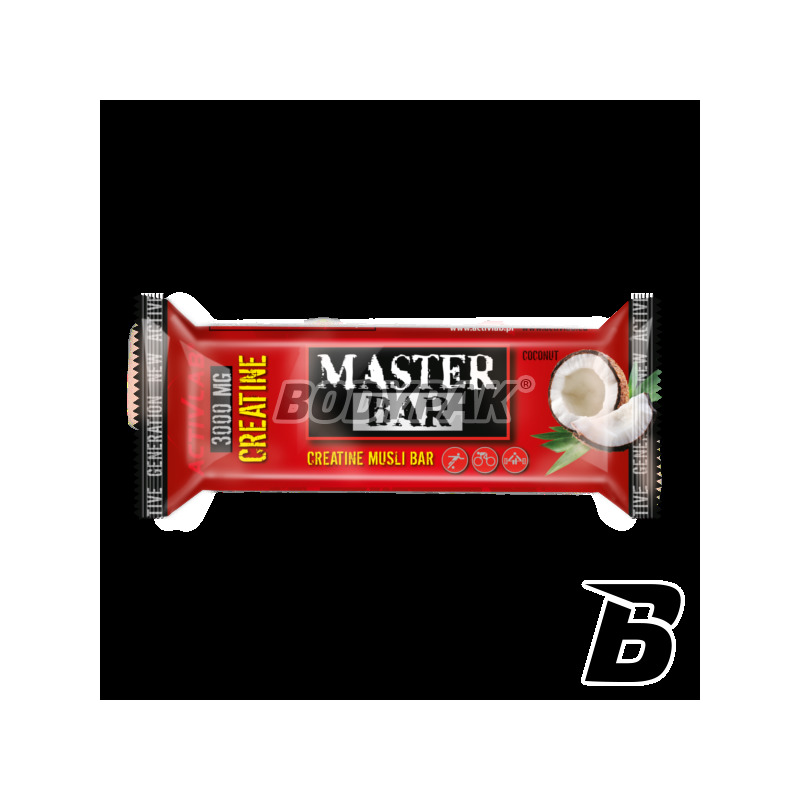 Activlab Master Bar - 3g creatine 1 Batoni. Delicious bar creatine, which provides as much as 3g high quality creatine monohydrate. Thanks to Master Bar instant boost of energy for all active people, especially for strength-trained athletes and bodybuilders. 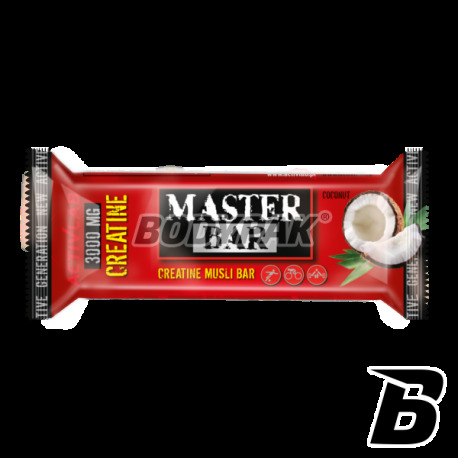 Creatine contained in Activlab Master Bar improves performance and endurance of the body allows much faster to build lean muscle mass. Bars are available in two flavors - cranberry and coconut are the ideal solution for everyone, both for bodybuilders, strength athletes, cyclists, joggers and all active people. Due to the high content of creatine it has a positive effect on the increase in strength, endurance, and strength and muscle mass. In addition, it supports muscle recovery after intense training. 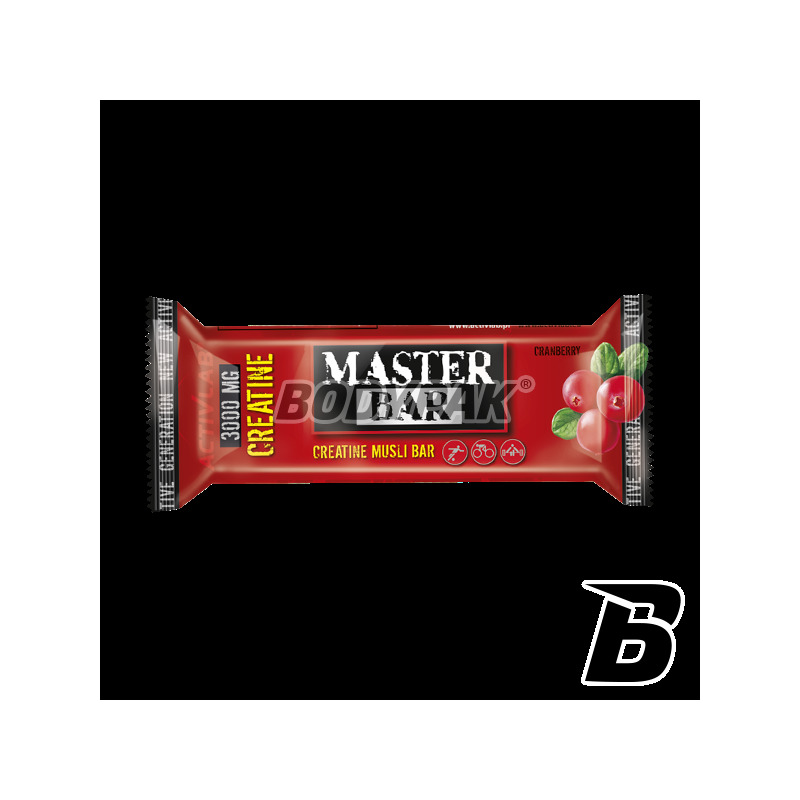 If you do not have time to adapt to creatine, reach for a delicious candy bar Activlab Master Bar with a large dose of creatine - a quick, convenient and tasty solution for every athlete. Bardzo dobry - na przekąskę w sam raz. Smak żurawinowy lepszy! Jak dla mnie takie batoniki są naprawdę doskonałe. Zamawiając je po raz pierwszy spodziewałem się nieco innego smaku, ale naprawdę pozytywnie się zaskoczyłem. Za to kocham ten sklep, można tu znaleźć bardzo dużo świetnych i niedrogich przekąsek, które nie dość, że są smaczne, to dostarczają sporych ilości wartościowych składników.